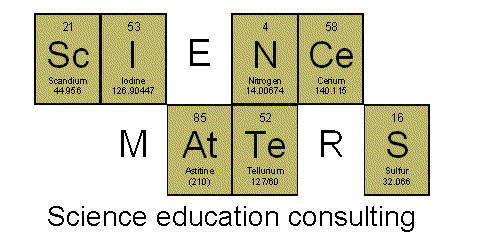 This activity helps students visualize that the molecules in the atmosphere become thinner as one moves to higher and higher layers of the atmosphere. It also reinforces the fact that nitrogen is the most common gas in the atmosphere, followed by oxygen. Each student will need four paper plates, 3 colors of construction paper, scissors, glue and a marker. You'll also need a hole punch and string. Each paper plate represents one layer of the atmosphere. 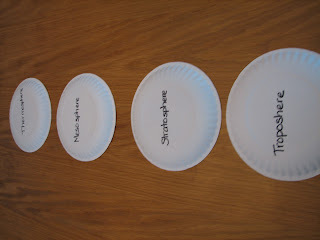 Label the plates - troposphere, stratosphere, mesosphere and thermosphere. Choose one color of paper to represent nitrogen, another color to represent oxygen and the third color to represent other gases. Cut out the appropriate number of pieces of paper of each color - see numbers below. The size of the pieces will be determined by the size of plate you decide to use. 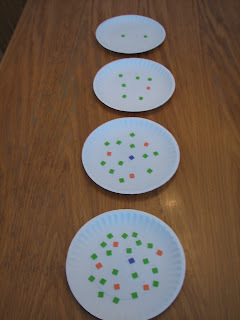 Glue the appropriate pieces of paper to each plate. Use a hole punch to make a hole at the top and bottom of each plate. 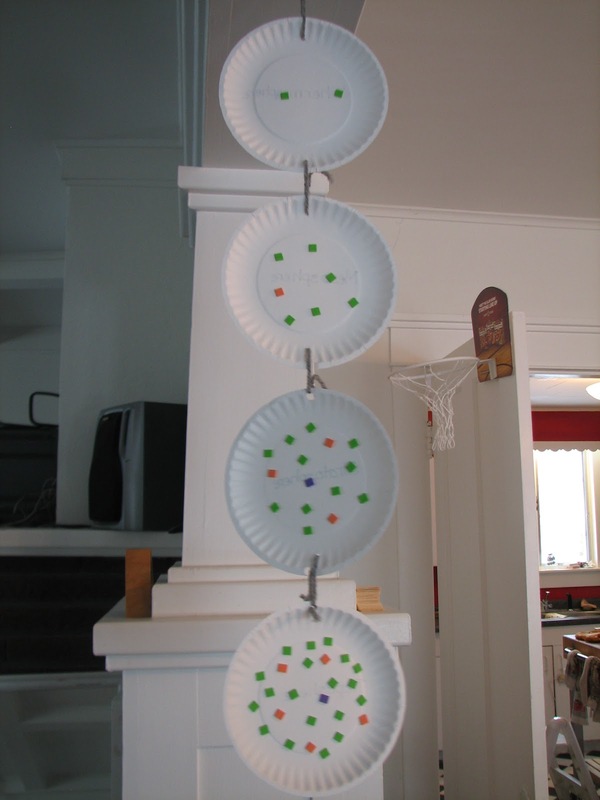 String the plates together in the correct order, with an additional string at the top from which to hang the mobile.